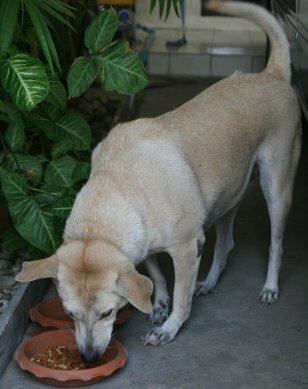 A picture of Muttley, one of our two dogs, eating. This is one of her favourite activities. She does do other things, but not nearly so well. The photo was taken with a friend's Canon EOS 20D, March 2006 CE. The only problem now is that I really, really want one of these cameras.